The Montana League finalized its Program for 2018-2019 at the Retreat in Billings on April 21 and 22. The LWVMT focuses on issues at the state level, using our own state positions and those of LWVUS. Emphasis is on individual members contacting their Congressmen and the President to follow through on Actions taken by National as unprecedented challenges to League positions arise at the national level. State officers forward Chris Carson’s (National League President) updates and calls to action from LWVUS to local members. Support positive reforms such as online voter registration for all, portable voter registration within each state, and reforms to provisional voting, and to oppose any bills that curtail voting rights. Defend existing voter rights if needed. 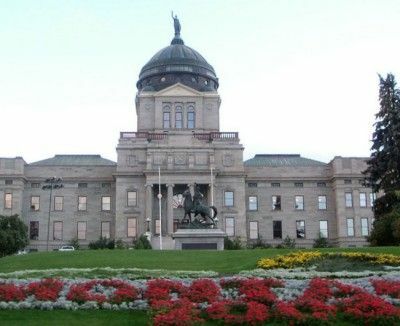 Work in coalition with appropriate groups in Montana to raise the issue of money in politics with candidates for state legislative and federal offices in both primary and general elections. Lobby in legislature according to League positions on bills affecting the Commissioner of Political Practices and other money in politics bills. Coordinate with local Leagues to apply for LWCUS grant to step up local League voter registration at naturalization ceremonies; encourage local Leagues to expand voter education and registration efforts in the high schools. Explore ways to work with Native American voter registration and education organizations. Inform people about existing on-line voting resources as part of our election voter registration and voter outreach, such as VoteSmart and FollowtheMoney, as well as the data site on campaign finance from the Montana Commissioner of Political Practices. Research and prepare report for Montana voters on Montana’s election process. Compare Montana process with LWVUS criteria; include recommendations to the legislature as appropriate. Work with Secretary of State’s office and Association of Clerks and Recorders to help citizens understand how the voting process works, and their responsibilities as voters. Monitor proposed initiatives and referenda prior to the session and monitor bills during the session for potential state League lobbying and testimony, in keeping with League positions on other issues, e.g., the judicial system, public education, libraries, air quality, energy, land use, water. Coordinate testimony and action alerts to the membership as needed. Continue planning, raising funds, enlisting co-sponsors, etc. to host June, 2019 Yellowstone Symposium on climate forecasts and stream flow. Share information across local Leagues on actions to take. Provide well-researched public education, and support potential League action statewide and/or locally, regarding existing unprecedented challenges to National League Positions that infringe on U.S. citizens’ rights and civil liberties, with a focus on immigration. Continue planning, raising funds, enlisting co-sponsors, etc. to host 2020 100th anniversary of the LWV celebration. Apply for LWVUS Naturalization grant to expand local League outreach to registering voters at naturalization ceremonies. Organize legislative team to monitor proposed bills, prepare League Action Forms and Action Alerts, and coordinate LWVMT lobbying in state legislature. Set priorities for areas to cover. Recruit local League members to work on Montana election process report, including observer corps for voting and counting ballots for 2018 primary. Release election process report in mid-November, 2018, with recommendations as appropriate for the 2019 legislature. Share information across local Leagues on actions individuals can take concerning Climate Change. Recruit local League members to work on Yellowstone Symposium.